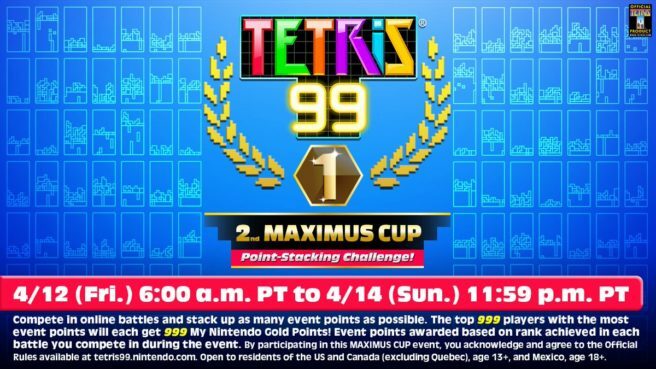 The Tetris 99 2nd Maximus Cup takes place on April 12th! Earn event points by playing matches during the event. Placing higher in a match will award you more points, and every 100 points will count as one Tetris Maximus. After the event, the top 999 players with the most event points will be notified, and will each receive 999 My Nintendo Gold Points. 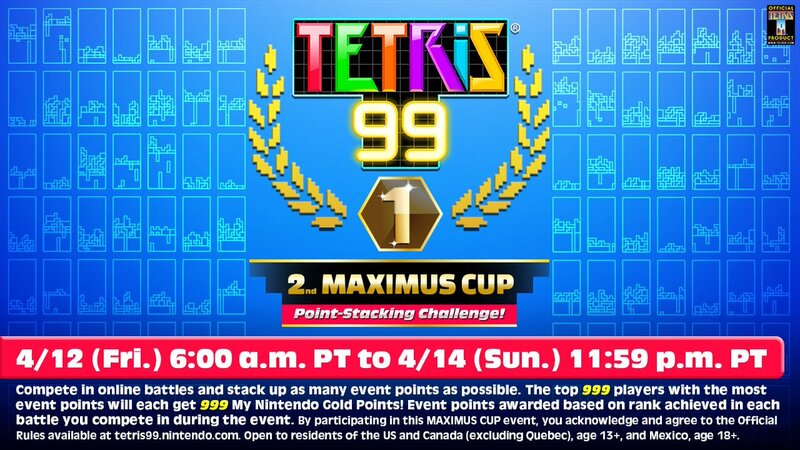 As mentioned above, the Tetris 99 2nd Maximus Cup kicks off on April 14 at 6 AM PT / 9 AM ET. It’ll last until April 14 at 11:59 PM PT / April 15 2:59 AM ET.